Do you live or own a business in the Milwaukie area? Are you looking to get rid of some junk or clutter from your home or office? Well if so I have the perfect remedy to your junk problem; Stand Up Guys Junk Removal. 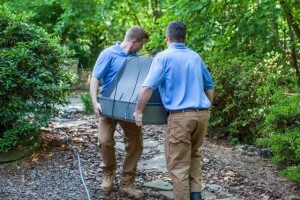 The Stand Up Guys are well respected as Milwaukie’s favorite junk removal company. We are the favorite in these parts for a few reasons. First, our customers always come first, so we are unmatched in customer service across the board. Second, we have wonderful prices on all our junk removal and clean out services, so we are the best value in town. Third, we donate and or recycle more that 60% of the items that we remove, so when you hire the Stand Up Guys you know that your junk will find a good home. There is no reason to call any one else to take care of your junk hauling needs in the Milwaukie area. The Stand Up Guys are your best bet, just ask your neighbors. Milwaukie was founded way back when in 1848 by Lot Whitcomb, who named it for Milwaukee, Wisconsin. 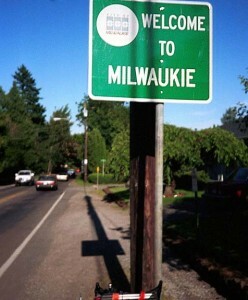 At the time, Wisconsin was also spelled “Milwaukie” before the current spelling was implemented. Some people say that the reason Milwaukie wound up adopting that name permanently and not Milwaukee was because the post office spelled it that way to avoid confusion. Milwaukie, OR is a pretty large ‘little’ city, with well over 20,000 residents and more that 8,500 homes in the area. The size of the city isn’t that large, so 20,000 people squeezed in there is pretty miraculous. There is more that 4,000 people per square mile in all of Milwaukie.